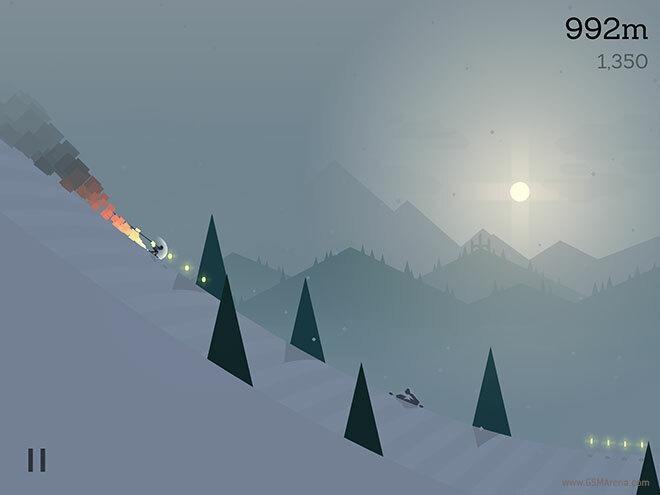 The game is now available on the App Store and promises beautiful visuals and an exhilarating gameplay experience. Let’s see if it delivers. 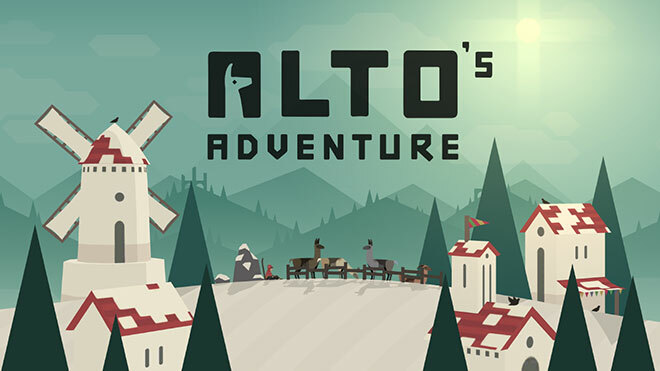 In Alto’s Adventure, you play as one of the six characters in the game, with the first character (Alto) available at the beginning and more unlocking as you reach the next level. The character automatically goes down the slope and you have only one control at your disposal, which allows the character to jump. If you press and hold on the screen, the character attempts to perform a backflip mid-air. If you manage to straighten the character before landing back you successfully perform a flip, otherwise you crash in the snow and the game ends. The way jumps are performed reminds me a bit of Tiny Wings. As you are going down the slope, you are looking for those small mounds that will allow you to jump in the air and hopefully perform a flip. But flips aren’t all that you can do in this game. You can also jump up and grind on top of rooftops or cables between poles. Again, you don’t have to do anything; simply landing on the surface initiates the grind and as an added bonus you can jump off the end and pull off a flip usually. As you perform more flips or grinds successfully, your muffler grows longer and you start going faster and jump higher. This helps you pull off flips better, even two at a time. 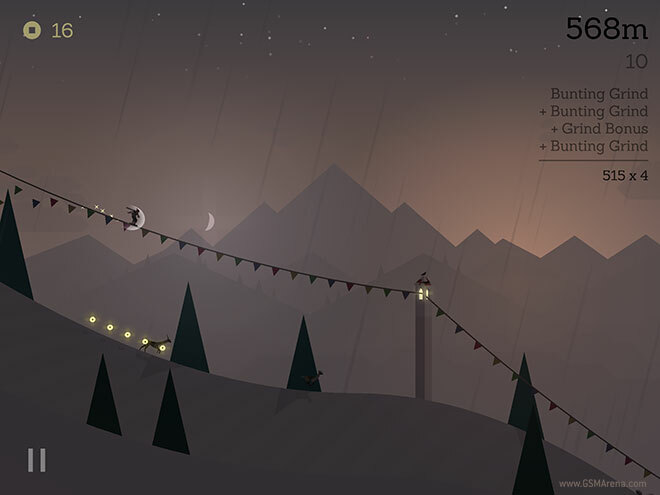 As you go down the slope, you have to catch the llamas that have escaped. You also collect stars during the game. Both of these, along with the total duration of your run contribute towards your final score for that game. 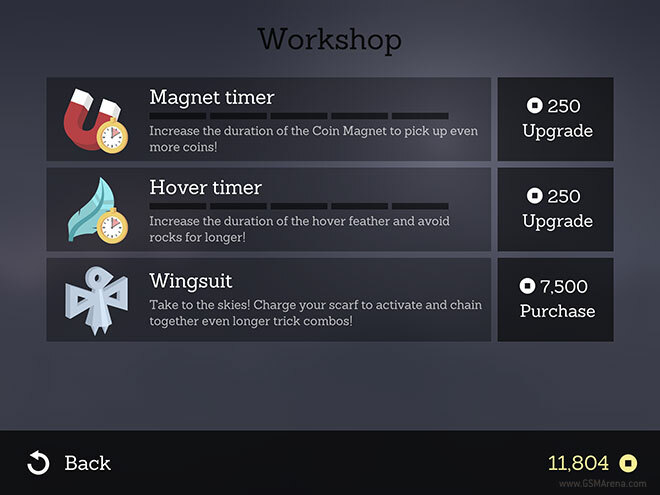 There are also power ups that you can collect, such as the magnet power up that attracts nearby stars towards you. Along with collectibles, there are also things to avoid. There are rocks in your path that come out of nowhere that you have to jump over. 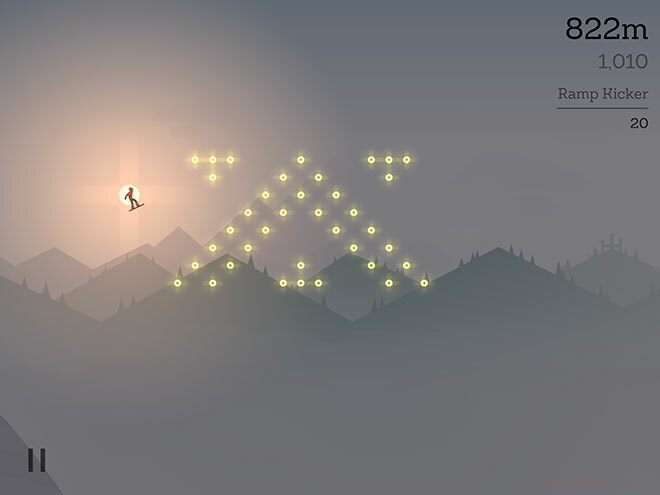 If you are quick, you can actually bounce off them to reach higher areas that you normally can’t with a simple jump. You will also occasionally have to jump over chasms but those aren’t all that hard and usually come with a warning sign beforehand. There are also these elders who will chase after you on a horse if you go past their tent. You have to stay ahead the entire time or else the game is over if they catch up with you. Once you go over a chasm, they can’t chase you anymore causing you to successfully evade them. But is all of this fun? The answer is yes. 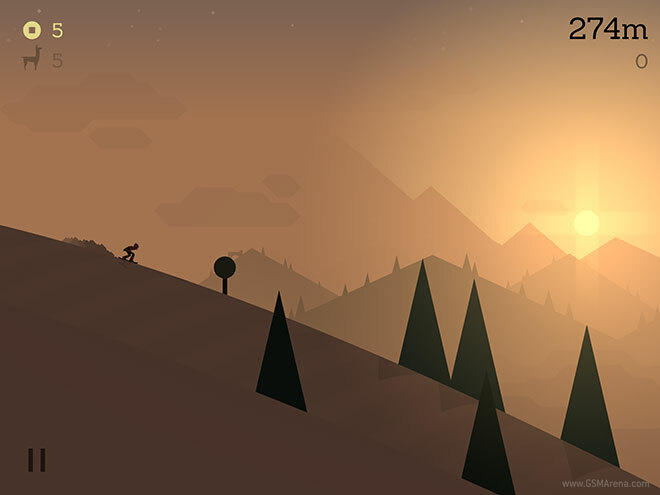 Alto’s Adventure has that natural hook of an endless runner that keeps you mashing that replay button for a higher score and it combines it with a simple but challenging gameplay mechanic. I also liked the idea of goals that each level has and you can’t move on to the next level until you complete all three goals. The six characters also have differing abilities, with some having increased strength while others being more agile. There’s also a wingsuit that you can purchase using collected stars (there is no in-app purchases here, thankfully) that lets you perform more elaborate tricks in air. And you can always compare your scores with your friends’ over Game Center. 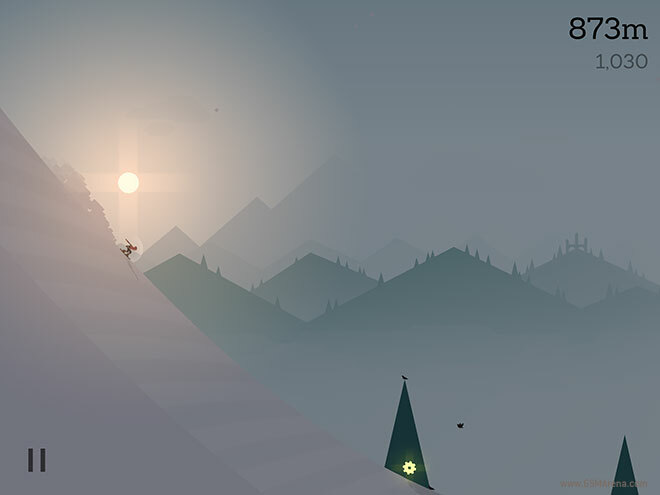 A lot of the charm of Alto’s Adventure comes from the visuals. 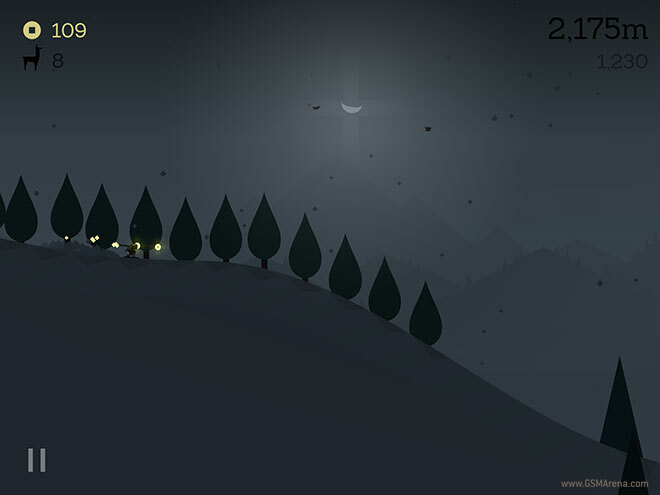 The game looks absolutely sublime, with wonderfully minimalist yet striking art design. I also loved the way the time of the day and the weather keeps changing as you play, going from dawn to dusk and from bright sunshine to thunderstorm within minutes. It also runs at a silky smooth framerate, at least on the iPad Air I tried it on. The sound is lovely, too. The background music played on a piano is really nice but what I loved in particular were the sound effects. Just wait for the thunderstorm to arrive and then hear the majestic rumble of the clouds as you perform yet another flip against a lightning-streaked sky. It’s all very delightful and adds a lot to the game’s appeal. 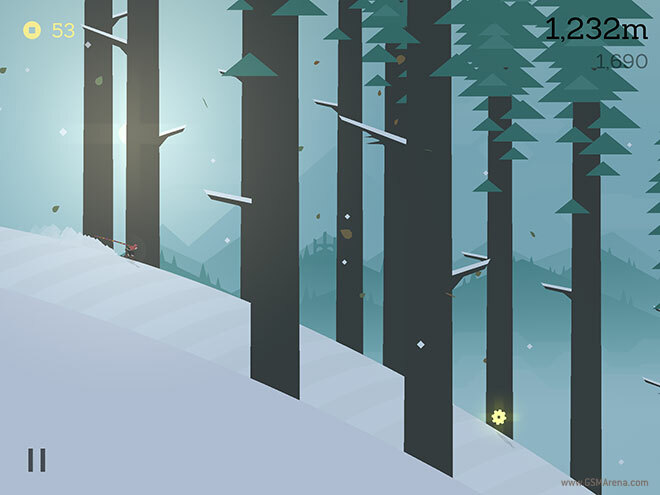 Alto’s Adventure is a memorable experience, with its addictive gameplay and beautiful visuals and sounds. It’s simple and minimalist, but therein lies its charm. 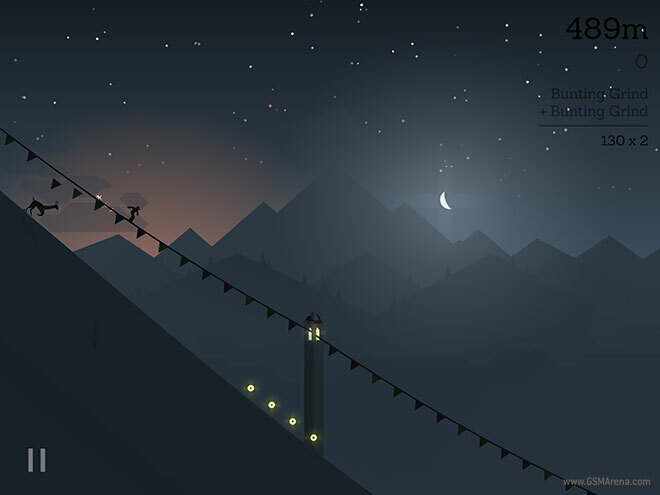 There is something quite affable about this game, and you need to play it to experience that.